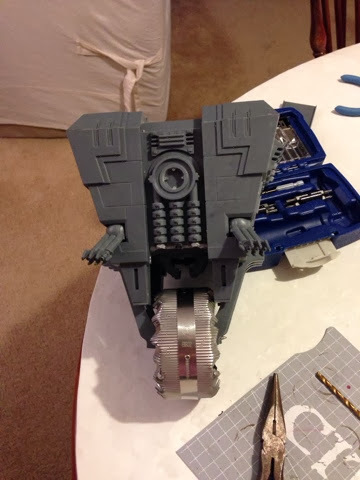 Here is a quick sneak peek of my Stompa work in progress. Well, I guess it's more of a Rolla! It's based on the Claptrap (CL4P-TP) robot from the Borderlands video games and uses a Necron Monolith as the core. Still tons of work to do on it.